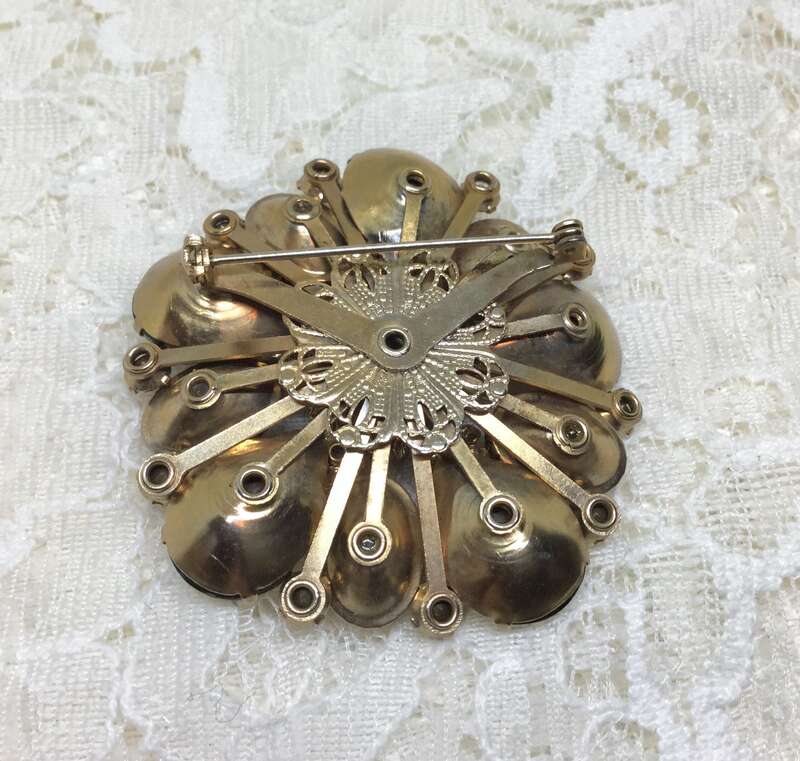 This is a great vintage goldtone unsigned floral brooch. 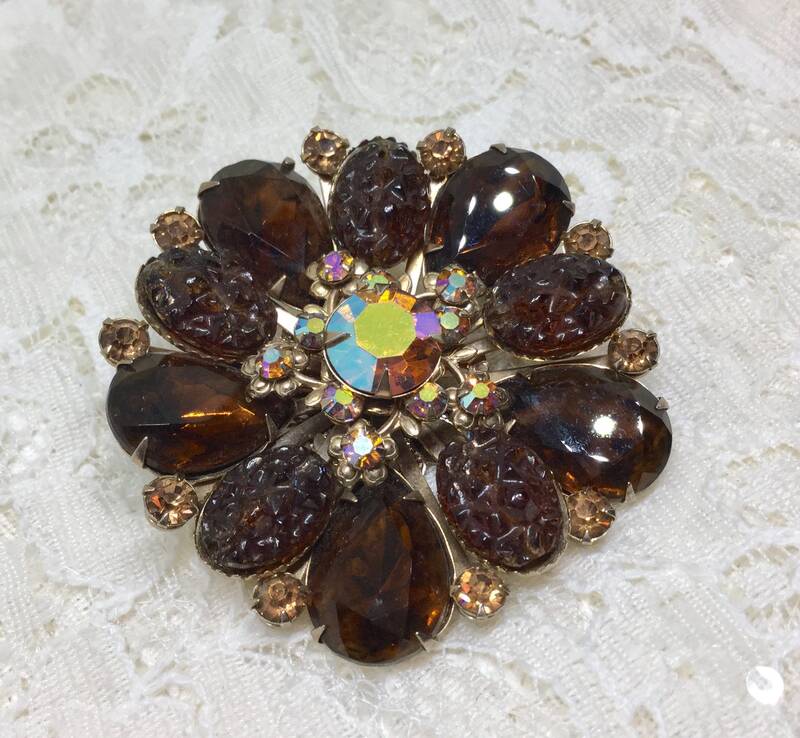 The center is a large AB faceted and prong set rhinestone. It is surrounded by five small flowers with goldtone metal petals and an AB center. 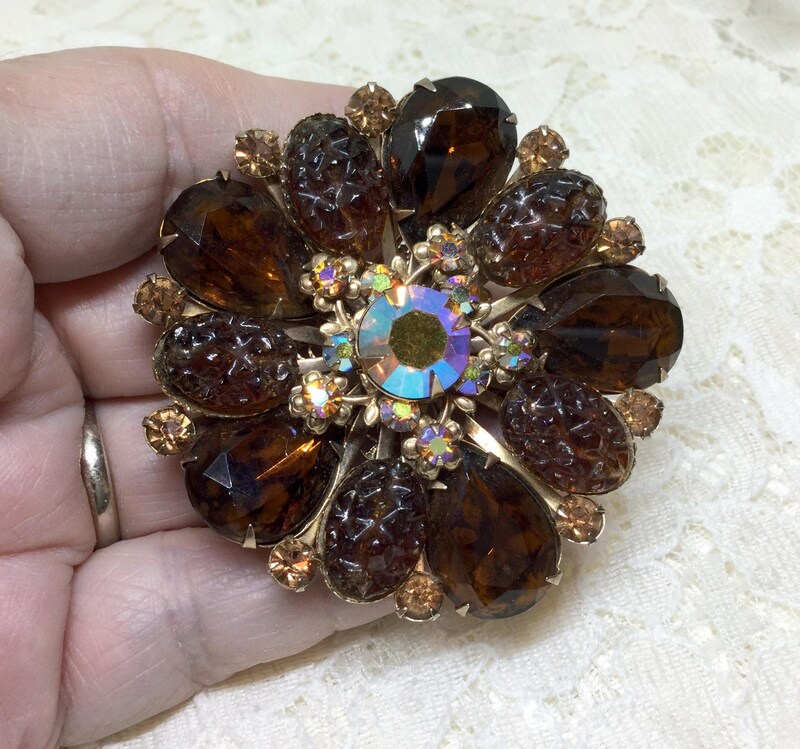 The large petals are alternating dark amber color large teardrop rhinestones and bumpy top Art Glass dark amber stones. 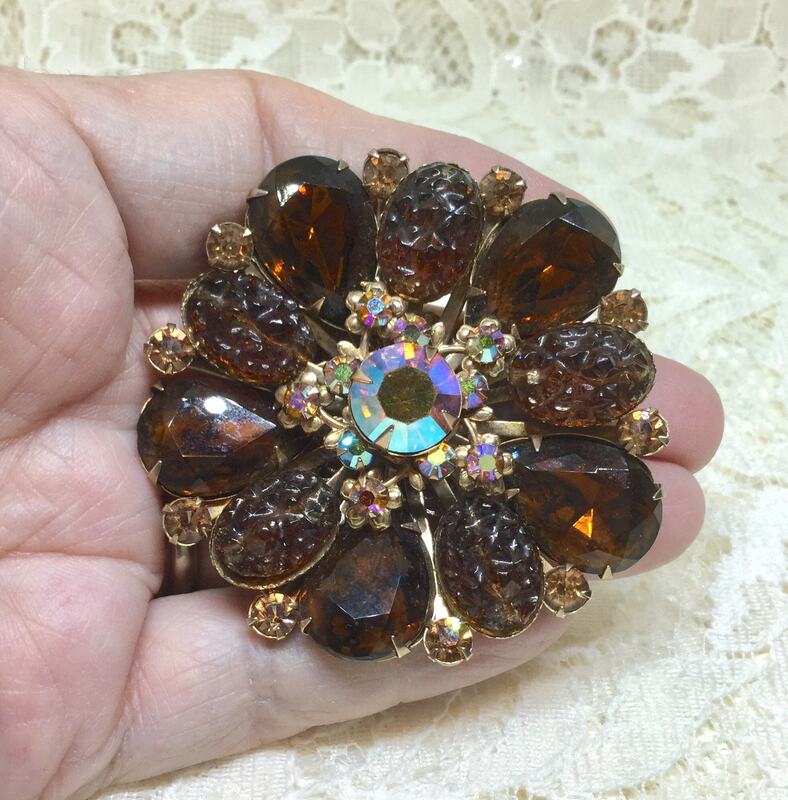 Between each set on the outside is a light amber color rhinestone. 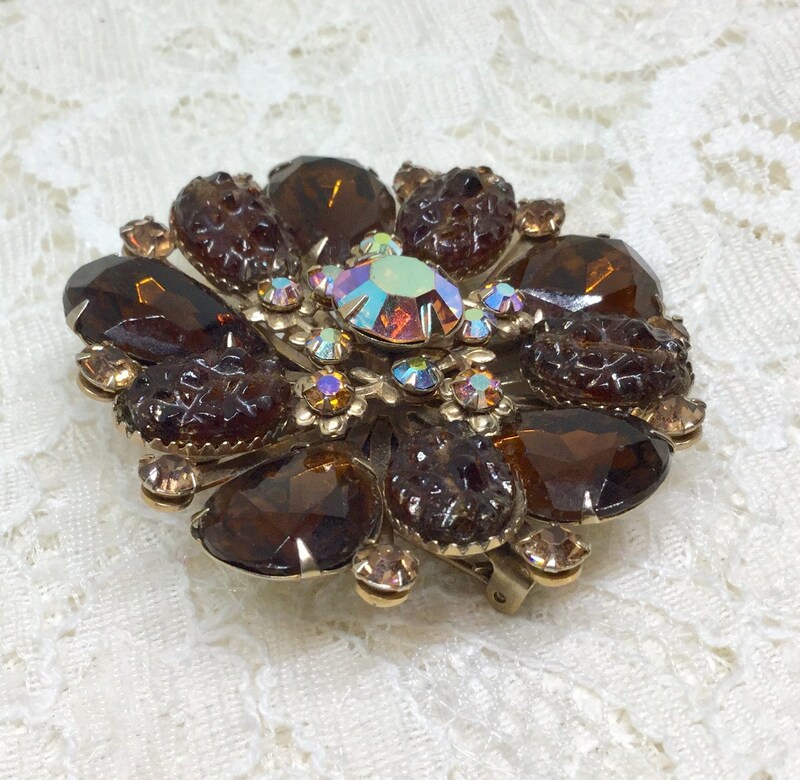 The back shows a light amount of vintage wear, but overall the brooch is in very good vintage condition. It measures 2 1/8” in diameter and the pinback is straight and works smoothly and securely. 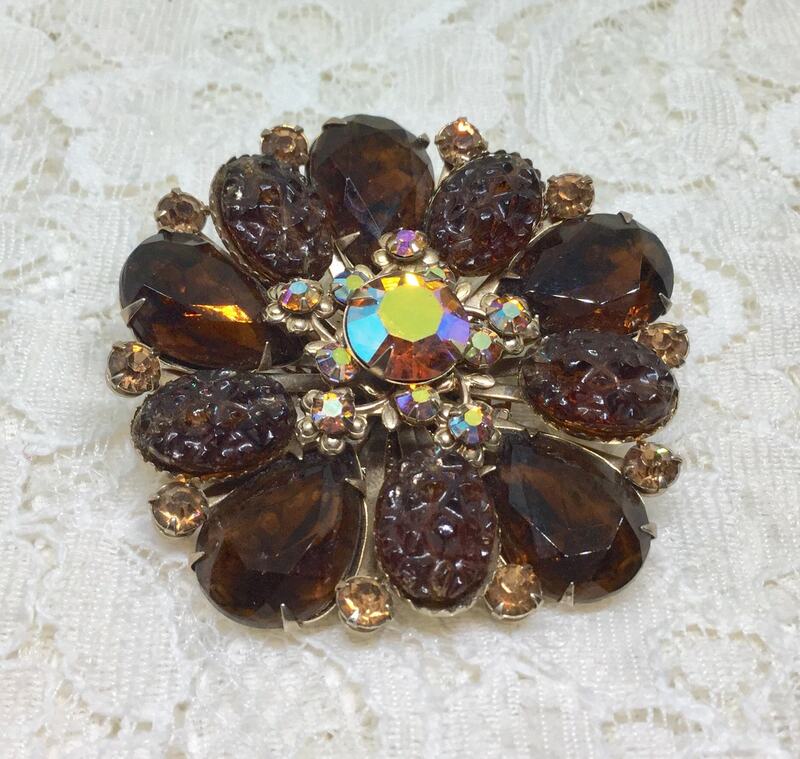 This is a wonderful fall and winter brooch with its warm colors and sparkling rhinestones!